In 1991 the distinguished prize was awarded to Robert Venturi, a rigorous thinker, postmodern planner and creator of the Sainsbury Wing at the National Gallery in London and the Seattle Art Museum on the U.S. West Coast. Significantly, his wife, Denise Scott Brown, did not join him on stage, despite the fact that the couple ran their architecture firm together and developed their projects in close cooperation. They are also credited as co-authors of books on the basics of their approach to architecture. Despite all this, only Venturi was awarded the Pritzker Prize. The couple accepted this, against their better judgment, because the award committee were not open to discussing the matter. And because their firm needed the extra publicity. It was only 22 years later, in 2013, that the Women in Design action group at Harvard University demanded that Scott Brown also be awarded the prize retroactively. Their petition was signed by 20,822 supporters, including Venturi himself, but to no avail. Her contribution to the couple’s joint oeuvre is now finally being honored by an exhibition entitled “Downtown Denise Scott Brown” at the Architekturzentrum Wien in Vienna that runs until March 18th, 2019. Coming one year after her husband’s death, it may be some comfort to her. However, the 87-year-old architect is likely to stay silent on the matter. To her, modesty is one of the most important virtues of her profession. Do female architects design differently from their male colleagues? Do they use different approaches and achieve different outcomes? 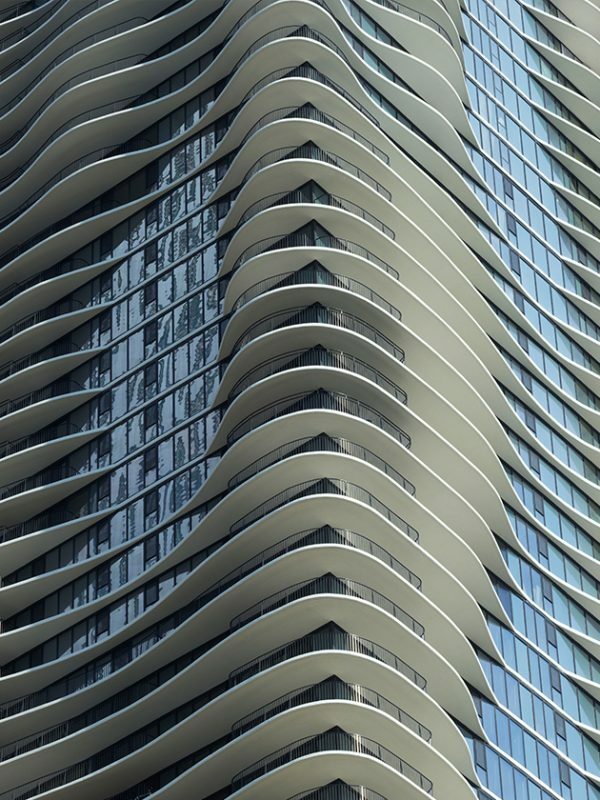 Could a man have created an equally vibrant, almost poetically light skyscraper as Jeanne Gang’s 82-story Aqua Tower in downtown Chicago? 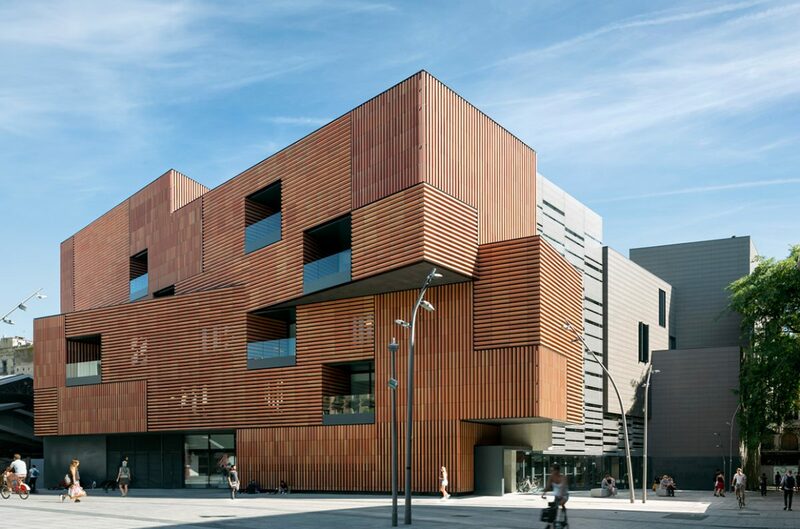 Does it take a particularly female way of associating ­things to conceive an office center that functions as a business incubator for ideas, like the Le Cargo in ­Paris by Odile Decq? And could New York’s spectacular High Line only have been created by the mind of a woman? Elizabeth Diller ­redeveloped the decommissioned elevated railway line into a long, slim and meandering green space – an oasis of calm, high above the hustle and bustle of Manhattan’s west side. Or are such questions as nonsensical as asking whether men are better cooks, just because most top chefs are men? 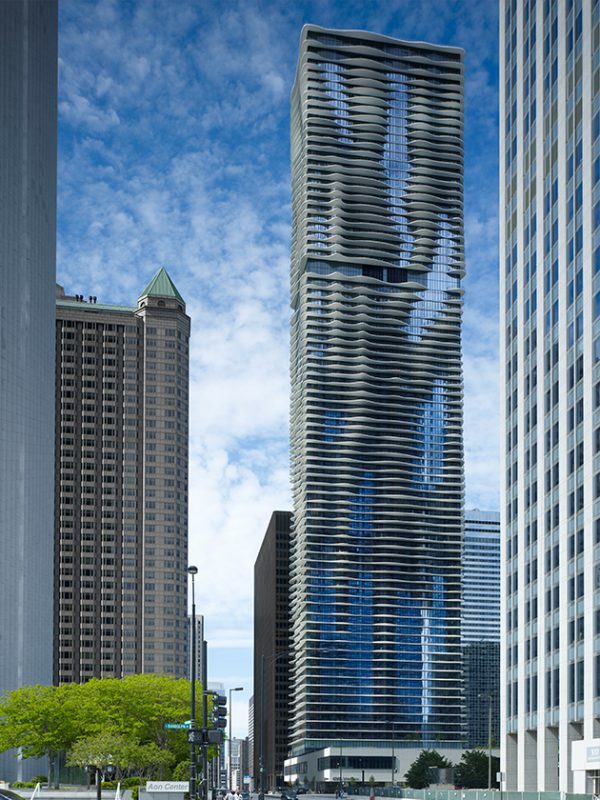 Maybe the Pritzker Prize should be awarded using a quota system. Maybe it would be helpful to have an award just for women architects to level the playing field whose uneven nature is caused by many factors unrelated to the designs themselves. As a man it is advisable to approach this subject by carefully asking questions. In the U.S., women make up half of architecture students but represent only a sixth of those actually working as architects. In other fields, like law and medicine, this imbalance is still pronounced, but, at roughly one in three graduates, it is far less extreme. So is architecture particularly misogynist? According to a study conducted by the Hans Böckler Stiftung, female architects in Germany earn on average 17 percent less than their male colleagues. The Deutsche Architektenblatt architecture trade paper reported that after a career of 20 years or more, the average gender pay gap is as high as 11,700 euros a year. Elizabeth Diller works in a team with two male colleagues – Diller, Scofidio + Renfro. Their designs are bold and visionary, rebellious, gentle and impatient. They challenge staidness and hesitancy, and allow glimpses into a high-tech, ecological future. The Sarjadje Park next to the Kremlin, the planned extension to the MoMA and the huge glass bonnet of the The Shed cultural center in New York look like space stations that leave viewers breathless. They are emotive because the architects set out to be controversial, as well as to confront, to provoke, to shake things up and to make people marvel. The High Line, too, was controversial before people took the new elevated park into their hearts. Diller herself has just been named one of the 100 most influential people of 2018 by Time Magazine. She was the only representative of her field, no male architects made the list. Japanese architect Kazuyo Sejima was awarded the Pritzker Prize in 2010, together with her male business partner Ryue Nishizawa who is ten years her junior and used to be her employee. He likes to say that she “is the boss.” In addition to their joint studio SANAA in Tokyo, each of them also runs a firm of their own. She designed the Hokusai Museum in Tokyo, while he was responsible for the museum on Teshima Island. 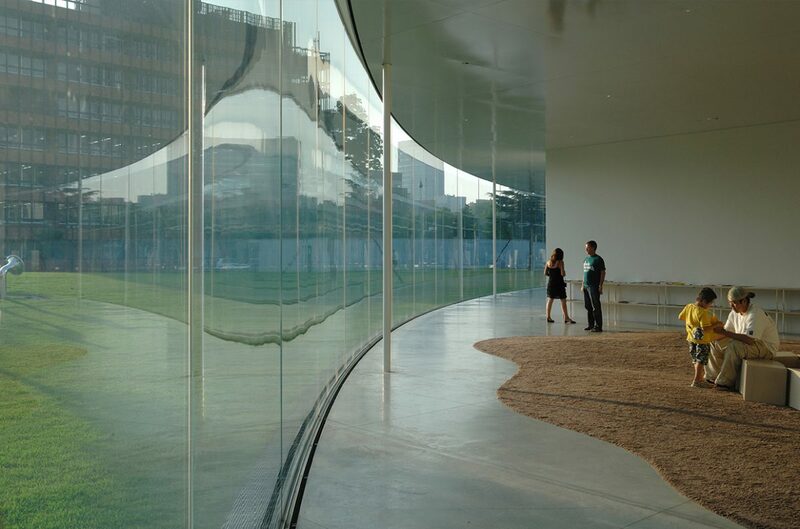 Together, they created the 21st Century Museum of Contemporary Art in Kanazawa, a huge glass circle from which the exhibition rooms rise up like cubes. It is difficult to pinpoint who was responsible for which features. His style is rather soft and round; hers bold and jagged. “The power of the MeToo movement to change a culture is unstoppable,” said Amanda Levete last March as she was presented with the Jane Drew Prize for women in architecture. Jane Drew was a British pioneer of modernism. Together with Le Corbusier and Pierre Jeanneret, she created the model city of Chandigarh in India in the 1950s, another pioneering achievement in the field. For her part, Levete credited the persistence of the women’s movement with creating the freedoms she enjoys today, including the freedom to keep winning new and exciting commissions over her male competitors. Things are not as entrenched as they once were. Amanda Levete has been able to establish herself as a star architect. Her spectacular, sweeping and boldly curved buildings like the extension to the V&A Museum in London or the MAAT art and technology center in Lisbon almost feel like a “thank you” in architectural form. Perhaps Zaha Hadid was the true pioneer of women in architecture. For a long time, the Iraqi-born Briton was seen as an architect who developed uniquely bold ideas, which were not, however, actually constructed. But in 1993, her wildly angular fire station designed for the Vitra company in the German city of Weil am Rhein propelled her straight to the top. To a realm where no one cares about the architect’s gender anymore. In 2004, she became the first woman to be awarded the Pritzker Prize. Her buildings do not tolerate objections, they are sensational combinations of mass and weightlessness: the Bergisel Ski Jump in Innsbruck, the Phæno Science Center in Wolfsburg, Germany, the Innovation Tower in Hong Kong, and the Opera House in Guangzhou, China. Is there actually such a thing as female architecture? And if so, is it distinct from its male counterpart by virtue of its dimensions or intentions? Is it more considerate? If only it was that easy! 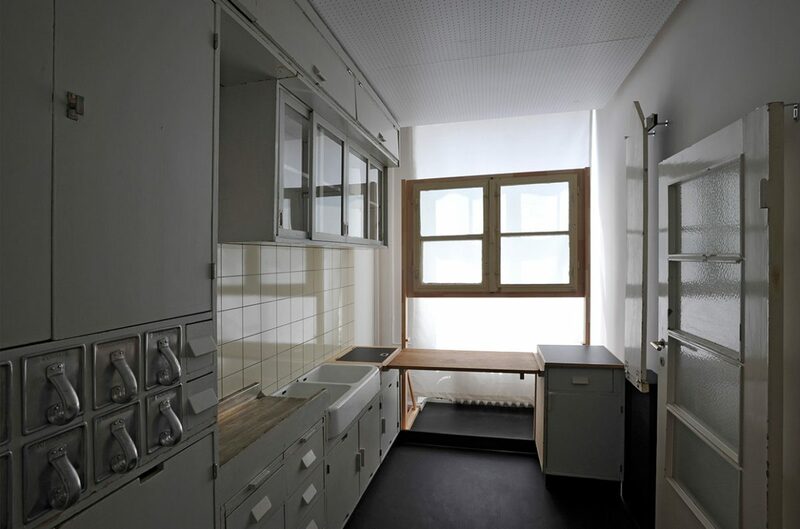 Vienna native Margarete Schütte-Lihotzky died in the year 2000 at the age of 102, but had insured her immortality by designing the Frankfurt Kitchen. She had experienced and suffered through the turmoils of the last century, such as Stalinism and the Nazi dictatorship. Given this, using scientific analysis to optimize and streamline people’s way around the kitchen may seem like a mundane feat, but she improved the everyday lives of millions, most of whom were probably women. 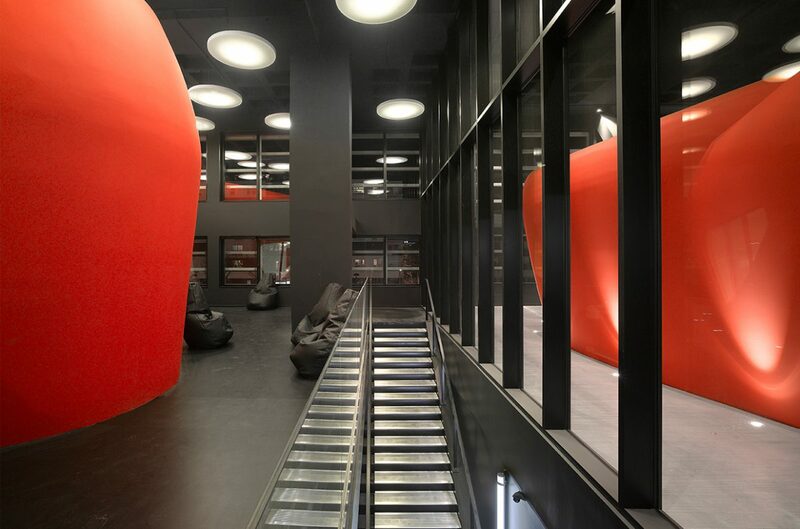 Italian-born Lina Bo Bardi emigrated to Brazil where she saved a decaying oil barrel factory by turning it into a cultural, sports and social work center called SESC Pompéia. A godsend for a place like São Paulo. 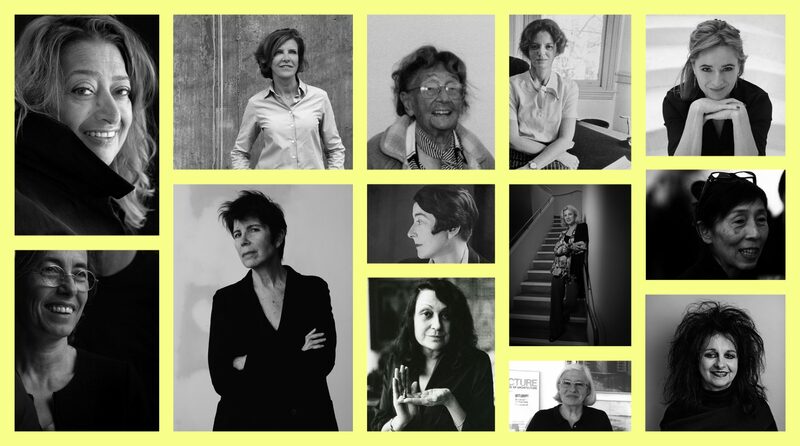 Saving, preserving, protecting and helping: Do different verbs describe the work of female architects compared to that of their male colleagues? 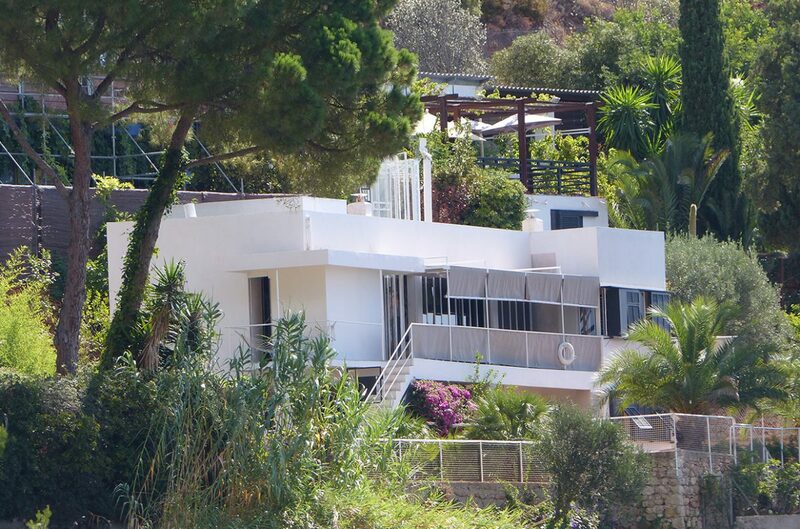 Not necessarily… Eileen Gray built herself an enchanted love nest in the shape of the Villa E-1027 on the green slopes of a hill above the French Riviera in Cap Martin. It is highly elegant, fitted out with the ingenious designer’s own furniture, and was later further refined by murals created by Le Corbusier. 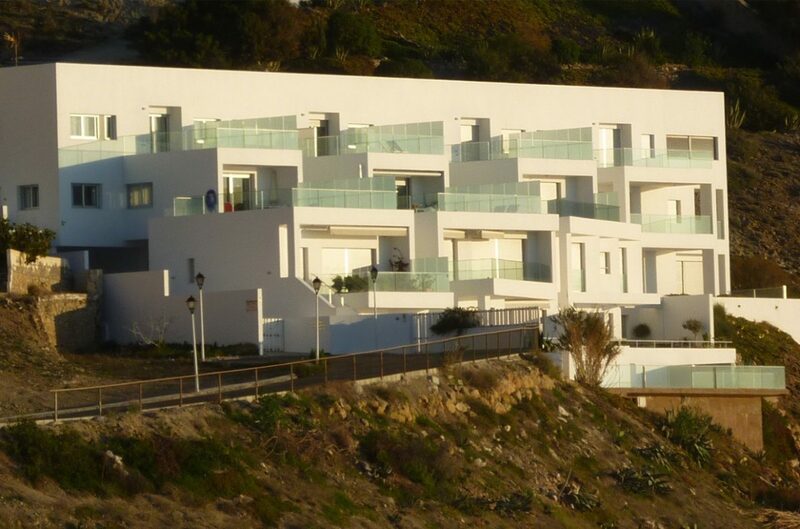 The American architect Susana Torre designed a sanctuary on the Spanish coast, near Carboneras. But to her, the sea view was just as important as the intellectual challenge of designing the seven-apartment complex in such a way that its proportions would be in perfect harmony. Beauty created through functionality and mathematics – this has been a guiding principle of architecture since ancient times. Maybe the search for differences is a waste of time. Good architecture is just good architecture, and that’s that. The Catalan architect Carme Pigem was awarded the Pritzker Prize in 2017, together with two male colleagues from her RCR Arquitectes firm. She was only the third woman to receive this accolade. 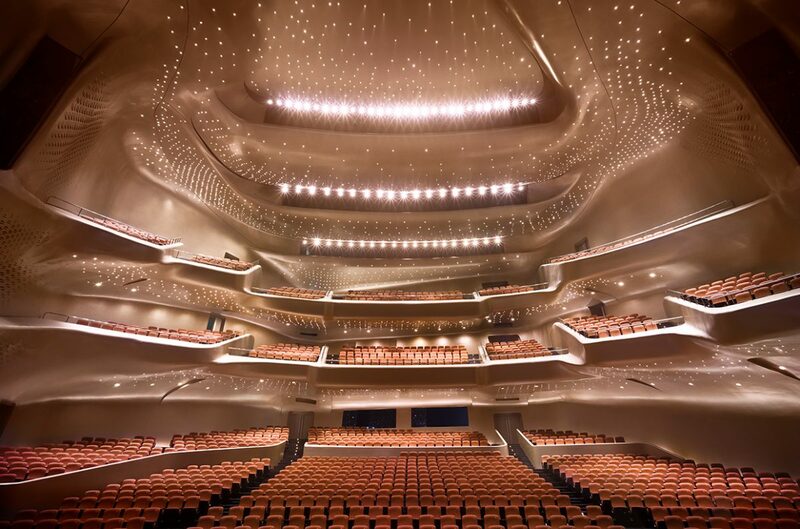 There had been prizes jointly awarded to two architects before, for example Herzog & de Meuron, or SANAA. However, the winners being a group of three highlighted that teamwork has long been common in architecture and is now essential. 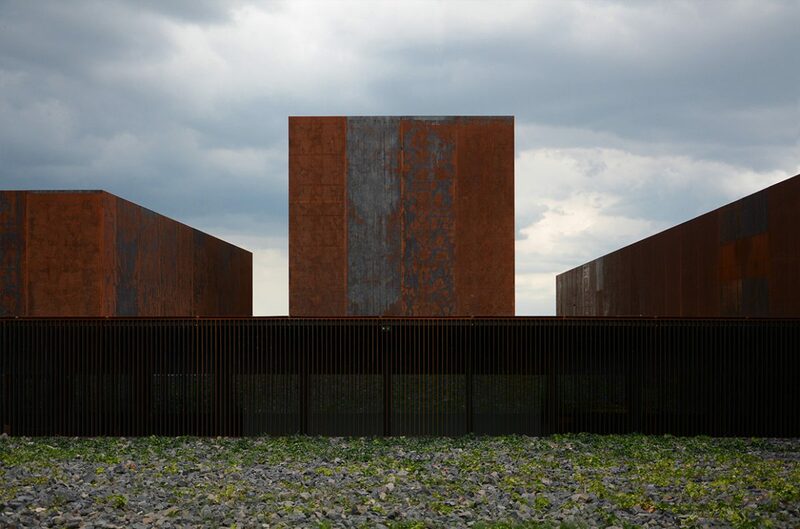 Proof of this is the museum designed by the three, which is dedicated to the work of painter Pierre Soulages and located in the French city of Rodez. There isn’t a building that resonates more with the oeuvre of its featured artist. Pigem’s compatriot, Carme Pinós, recently recounted some aspects of her life story on a stage in Hamburg, Germany. Its twists and turns shed light on part of the female experience. The architect – whose spectacular structures include the Caixa Cultural Center in the northern Spanish city of Saragossa, the most recent MPavilion in Queen Victoria Park in Melbourne, Australia and the bold office towers Cube I and Cube II in Guadalajara, Mexico – said she grew up with lots of brothers and a father who desperately wanted to keep the old family farm from falling into ruin. None of his sons were interested in maintaining the buildings, so she stepped up to the plate.